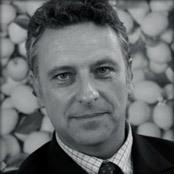 Steven Ransom is Research Director of UK-based Credence Publications, which investigates business and governmental health fraud and provides unbiased, life-saving health information (see website http://www.credence.org). He is the author of Plague, Pestilence and the Pursuit of Power: The Politics of Global Disease (Credence, 2001), and co-author (with Phillip Day) of World Without AIDS (Credence, 2000). His new book, Great News on Cancer in the 21st Century (from which his "Death by Doctoring" article is extracted), is available at http://www.credence.org/greatnews/greatnews.htm. His article, "Population and Food Control: The Corporate Agenda", was published in NEXUS 9/03. Steven can be emailed at steve1@onetel.net.uk. Visit his own website at http://www.whatareweswallowing.com.